Once the thermostat choosen, the next move was to see how to interconnect the Raspberry Pi and the Z-Wave network. USB Sticks with SigmaDesigns SDK (the company behind Z-Wave). 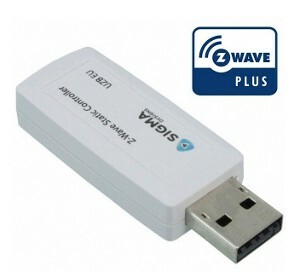 Compatible with Z-Wave plus. The other possibility, still by Z-Wave>me is called the Razberry and is an add-on for the Raspberry Pi. Cool... but not really future-proof. As I mentionned before, Z-Wave is a very closed world, at the opposite end of Open Source. Fortunately, reverse engineering was done and there is a Z-Wave free software library called Openzwave. There is even a Python wrapper! If the compilation part takes ages, it is totally painless. But all first attempts were failures and I couldn't understand what was going on... Even using the control panel. Associating 2 of the elements (Thermostat, actuator, static controller) was fine but all three together didn't work as I expected. Even following the numerous recipes found on the forums. Include the Actuator on the Thermostat (back to the way the pack was when delivered). Set the RaspberryPi/Stick in "ReceiveConfiguration" mode. On the SCS317: Setup/Set up Z-Wave/Controller Shift to promote the Raspberry as the Primary Controller. Z-Wave learning curve is rather steep and badly documented (because of the NDA). Another particularity is that almost everything is asynchronous... and very slow. Especially when it comes to the SSC317. In order to minimise the battery usage, operation can wait for... hours! Well, the thermostat is recognised by openzwave but half the interesting functions are not (yet) implemented. It looks like if openzwave was mainly developed for switches and relays. Sadly enough, anything around the schedule commands (0x53) are not taken into account so there is, at the moment, no way to read/write the 7-day programme. I wasn't able to read either the current temperature set point (which is odd because it should work). After playing a bit, I decided that Z-Wave is not yet totally fonctional without a proper certified box. I'm still wondering what the implementation of Z-Way is like and if it is more advanced than openzwave. Status of the switch on the actuator (on/off). Status of the thermostat (Heat/Idle). In theory the same as above. Current temperature of the room (when changing). For the moment, I shelved idea of overriding the On/Off of the heating remotely (but this works fine). Since I want to use Python3 for the main software and this project is in Python (or C++), the simplest set-up was to have both running separately. One process is responsible for the z-wave management. Every 5 minutes, a refresh of value is requested (will be honoured... or not) and a few second later, a JSON value file will be dumped. The main process can then read this JSON file and do what it wants with the values (mainly sending them to RRD). I'll re-evaluate my options at a later stage. In need of a good thermostat for my boiler, I investigated about the models and technologies available. Wifi thermostats - local server: The best (on the paper) seems the one from Heatmiser but they can be quite expensive, need permanent 230V and are wall mounted. Moreover they don't seem to be distributed in France. But the API is documented. Wifi thermostats - cloud: The latest trend: Nest, Tado°, Netatmo, etc... I DON'T want to rely on a internet connexion to command the heating nor I want to upload private data (being in or out) to a private company. Privacy and risk of ending up with a useless piece of hardware if the manufacturer disappears render this solution a no go. Horstmann (the old brand name) seem to appear on all the home automation forum, especially the model HRT4-ZW. Secure (the new name) released recently a model SCS317 (sold as kit paired with the actuator SSR303 under the name SCS318) which is ticking almost all the boxes of my list. 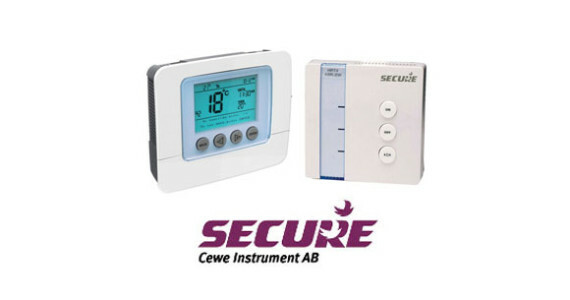 It is a 7 day programmable thermostat with 6 temperatures settings per day, temporary override, holiday mode, TPI (Time Proportional & Integral) and speaks z-Wave. It also has a ten-minute resolution, so I could programme some heating from 06:40 to 8:20! My old thermostat could only do hours (for example from 07:00 to 8:00).